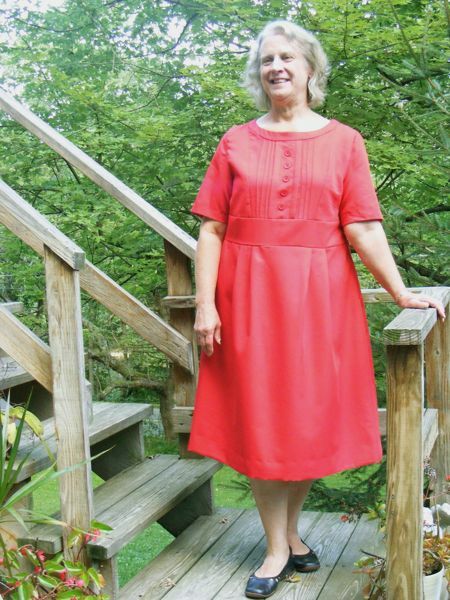 We always set out to make two dresses for my mom this summer – one knit and one woven, and for the woven one she ended up also picking a KnipMode pattern from my archives, this time #6a from the special June 2009 “40 Years, 40 Dresses” issue. It may look like a shirtwaister at first glance, but the buttons in front are purely decorative – there’s an invisible zipper in the left side seam and it all just goes over the head for a really easy to wear, casual style. 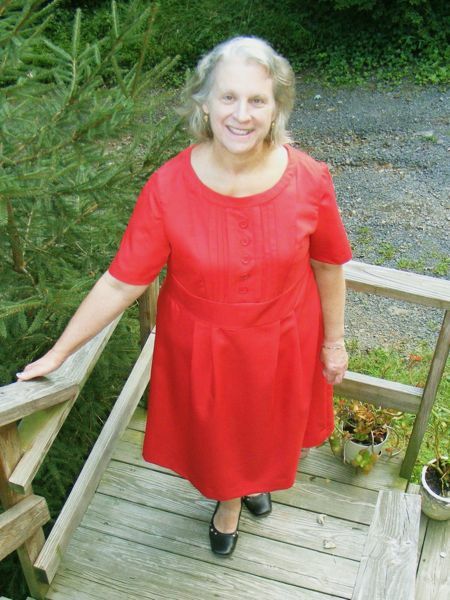 She bought the bright red twill in America and prewashed it before she came over, and then picked out the buttons on a shopping excursion to MacCulloch and Wallis here in London. 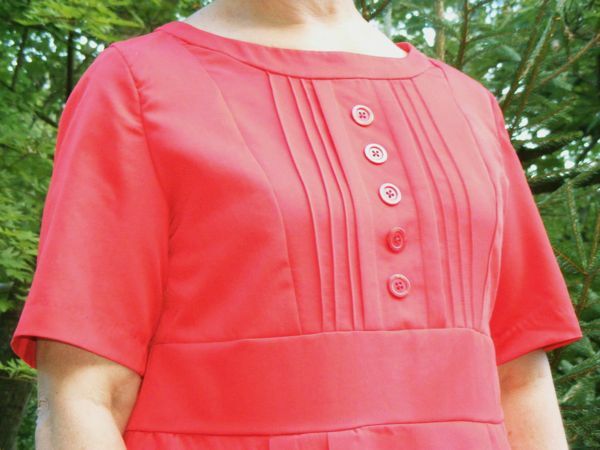 I really like how the princess seams, pintucks, and pleats all fit together so nicely to frame the central buttons – it really adds some nice interest to what might otherwise be a rather plain dress. 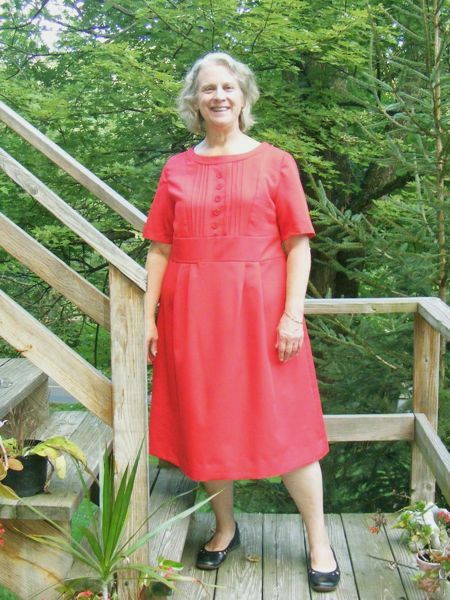 We made some design changes to suit my mom’s needs – the sleeves were lengthened by a few inches to stop at the elbow (and the sleeve band was removed), and the hem band was likewise removed, opting instead for a low-key invisible hem stitch inside. 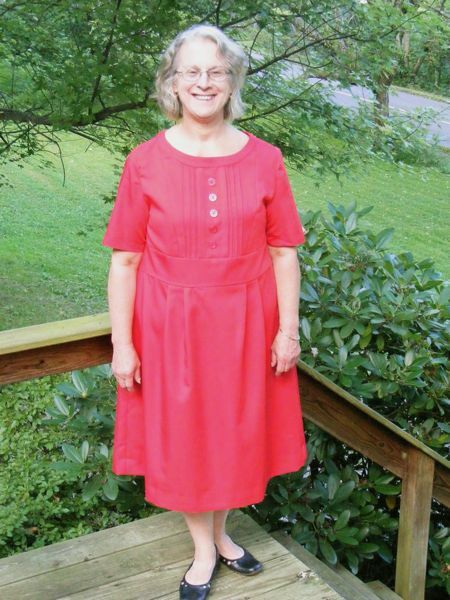 We tried stitching down the skirt pleats a’la the lavender dress, but in the first fitting the effect was really not flattering so I unpicked these and it looks much better with the free flowing pleats as intended! So the exciting conclusion to the dress saga? 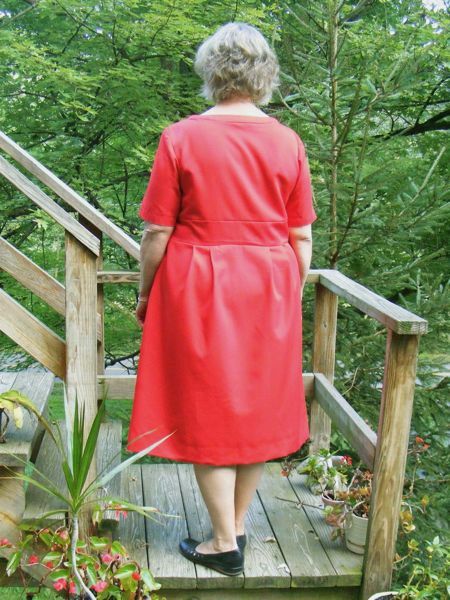 Well, clearly I finished it, but upon being readmitted into hospital, the dress still needed the invisible zipper, the remainder of the left side seam, the hem, the sleeve hem, and the buttons! The table in my new room is both half the normal size and way too rickety to put up with a sewing machine, so yes, I did all of the above by hand, and in one day, too. I finished it about five minutes before she walked in the room for her last visit before flying home. It was in desperate need of a good pressing, but it was done, so she was able to fly back with it, give it a good steam, do the above photoshoot in Pennsylvania (thanks, Dad! 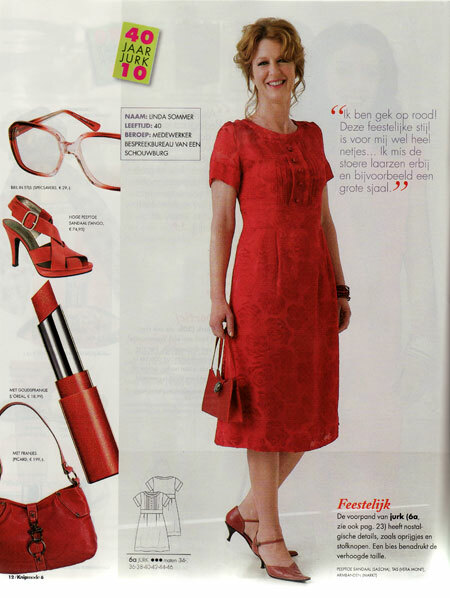 ), and wear it on her first day back at school. 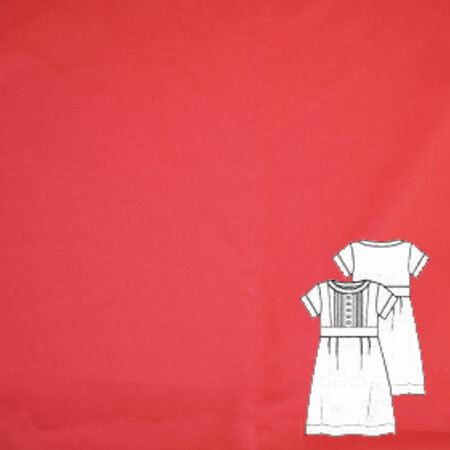 Separator image Posted in Gallery and tagged with dress, knipmode.